Months after the Apple CEO Steve Jobs succumbed to his death, a lot of action figures were manufactured to his likeness. 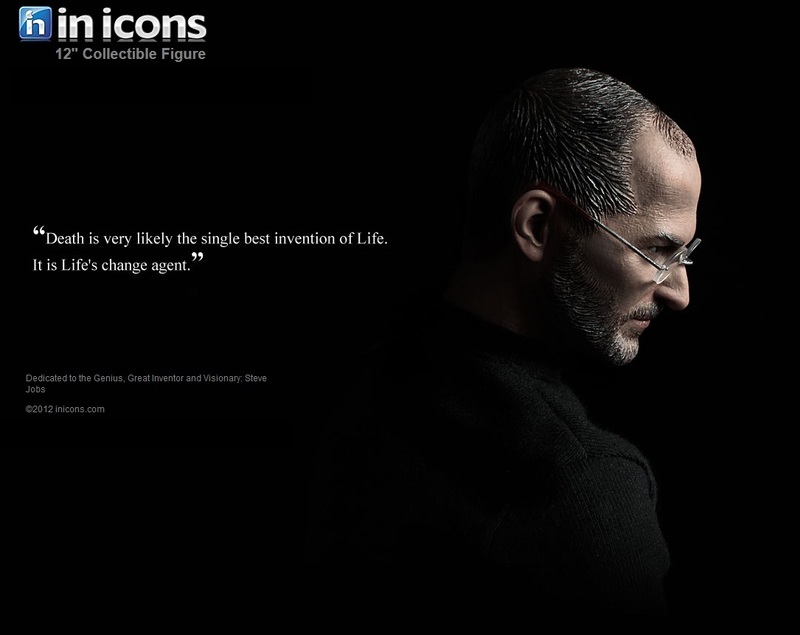 In Icons created a 12-inch (almost 1:6 scale) of the Apple genius with awesome detail. Find out more after the jump. 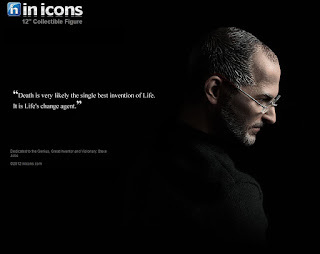 The Steve Jobs figure will have a signature black turtle neck, circular rimless glasses and blue jeans just like the man as we all remembered him. 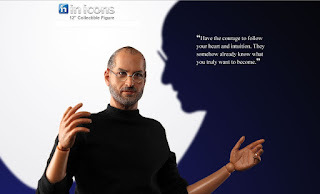 The figure will be available this February in the US and will cost around 99 USD. 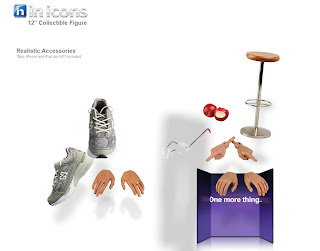 It also comes with a pair of black socks, a chair, a backdrop that says “One More Thing” and two apples — one with a bite. 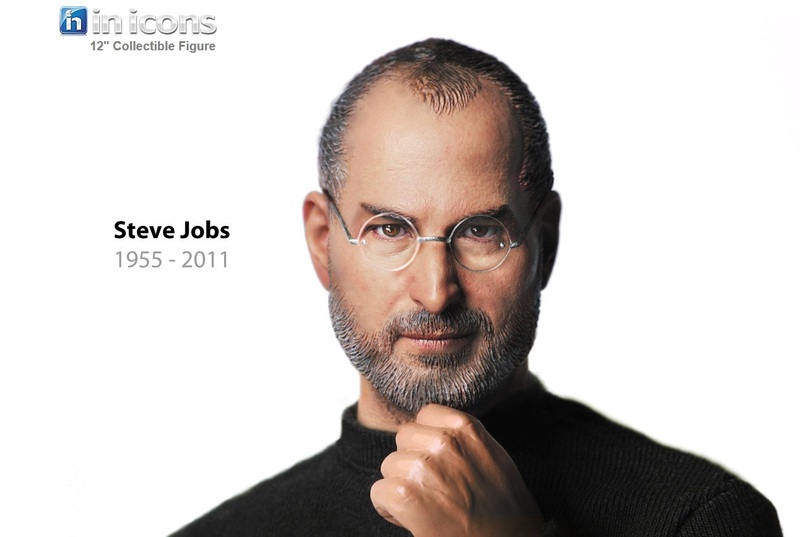 Sadly, an iPhone is not included. I do hope it will be available locally because I'm going to buy one!